If you love to bake cookies as much as I do then I am sure you have ran into the problem of them sticking the to pan. No matter how good of a baker you are sometimes your cookies and pans have a mind of their own at least mine do. But now that I have discovered my new "baking helper" a Silicone Baking Mat I no longer have anything I bake getting stuck to my pan. I would have never thought that I could use a silicon mat in my oven due to high temperatures but this mat is made to stand the high temperatures. I do a lot of baking for my boys school, our church functions and for my family. I have always hated when my stuff would stick to my baking sheets even when prepped correctly. Now that problem is all a thing of the past for the Anderson Household. 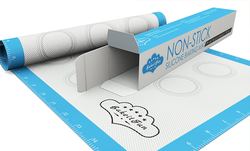 The silicone baking mat removes the need for parchment paper or non-stick spray like Pam. I have to say, it works like a dream. I can pick the cookies up right off the mat using just my fingers! I'm saving money now because I don't have to buy anymore expensive parchment paper or non-stick sprays. I'm also saving the calories that those non-stick sprays add to your baking. I have to say that I use to struggle with getting my cookies to all be the same size. No matter how hard I tried I would usually end up with them to big or to small. But now thanks to the baking mat I don't have to worry anymore because the circles on the mat show the amount of dough you need to get the right size cookies. 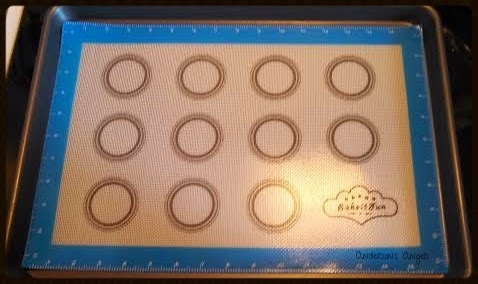 It also has measurements all the way around the mat that can easily help you if you roll your dough out on it while you are preparing it. The Mat is also BPA Free!! 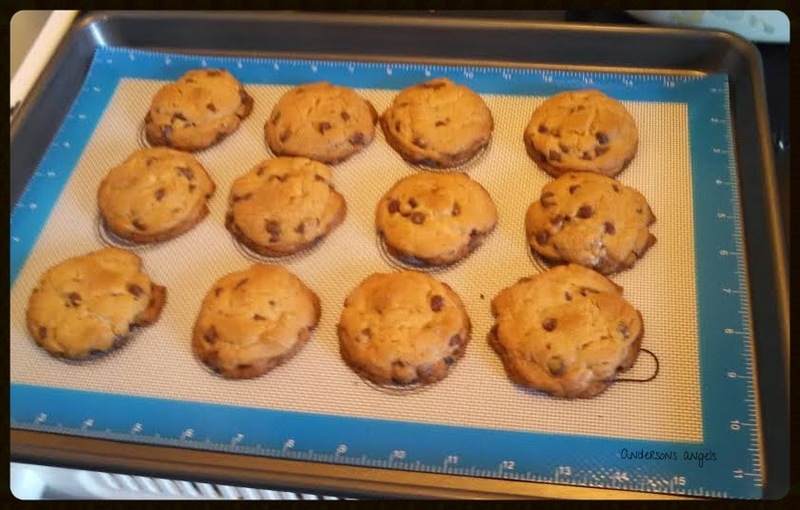 The BakeItFun mat can withstand temperatures from -40*F, all the way up to 450*F in the oven; it can also be used in the freezer, toaster ovens and the microwave. It is super simply to clean as well just use a damp wash cloth to wipe it clean and then allow it to air dry. Then just roll up the mat and store it until the next time you are ready to bake something. I already own one of these baking mats, but I love them! I need a couple more so I can have one ready to go in when I take one out!